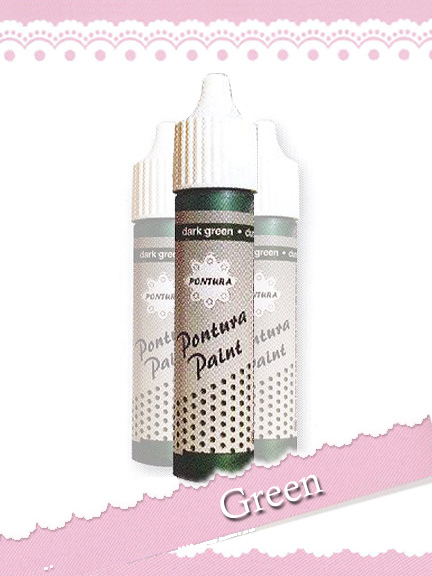 Pontura Paint - Dark Green 10 ml These paints are used with the PONK cards that have a netting incorporated in the card. The paint is a 3D paint that you dab on the netting and it keeps its form. You can also make pearls of any color and size by adding dots of paint to wax paper or cellophane so they can easily be removed when dry.